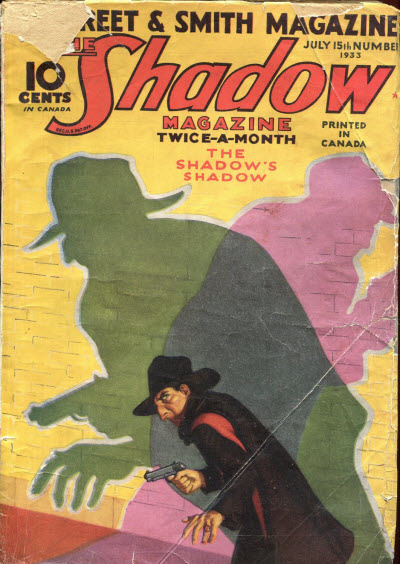 Reprint of the October 1931 (US) issue. Details taken from Table of Contents. Incomplete Data - Issue not found - probably a reprint of the November 1931 (US) issue. 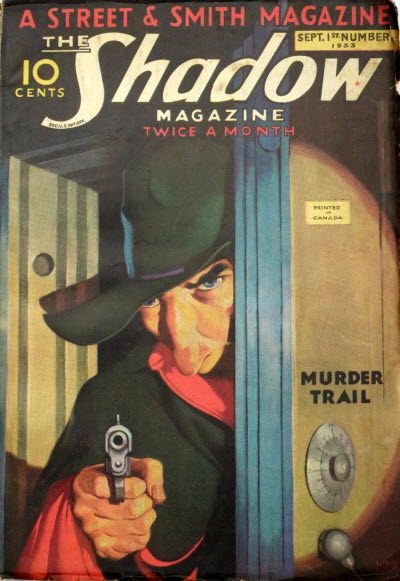 Reprint of the December 1931 (US) issue. Details taken from eBay listing. Incomplete Data - Issue not found - probably a reprint of the January 1932 (US) issue. Incomplete Data - Issue not found - probably a reprint of the February 1932 (US) issue. 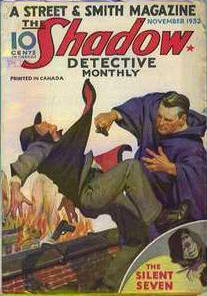 Title changed from The Shadow Detective Monthly (Canada). Incomplete Data - Issue not found - probably a reprint of the March 1932 (US) issue. 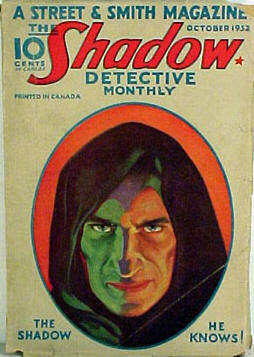 Issue not found - probably a reprint of the April 1932 (US) issue. Issue not found - probably a reprint of the May 1932 (US) issue. Issue not found - probably a reprint of the June 1932 (US) issue. 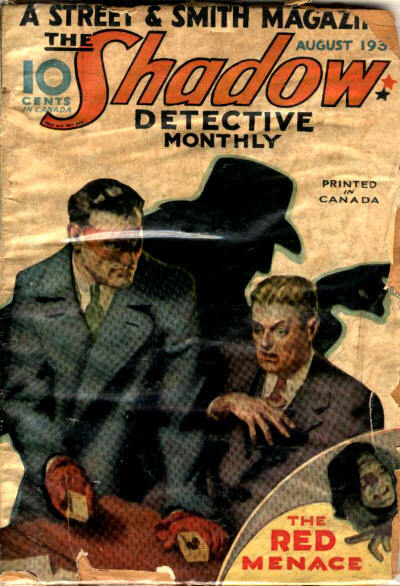 Issue not found - probably a reprint of the July 1932 (US) issue. Issue not found - probably a reprint of the August 1932 (US) issue. 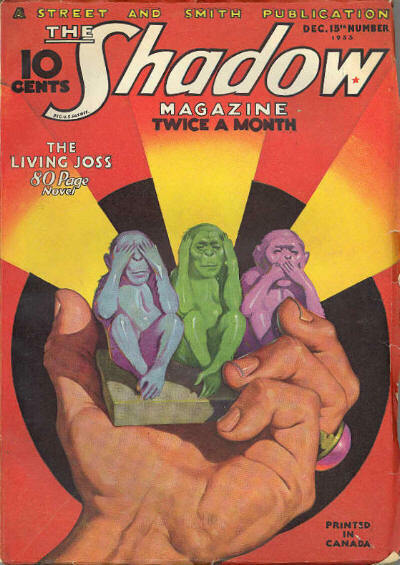 Issue not found - probably a reprint of the September 1932 (US) issue. 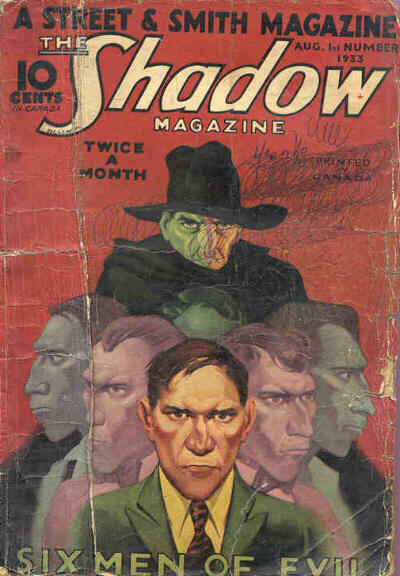 Issue not found - probably a reprint of the October 1, 1932 (US) issue. 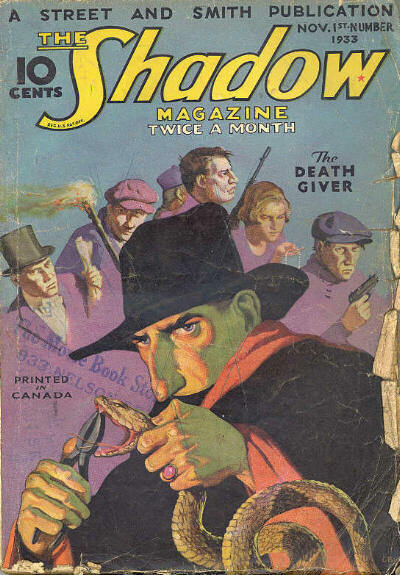 Reprint of the October 15, 1932 (US) issue. Details taken from Table of Contents. 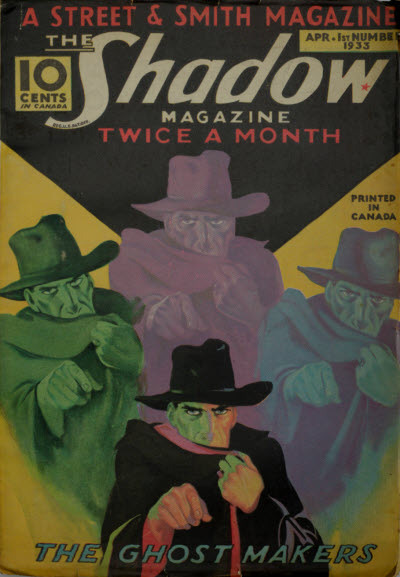 Reprint of the November 1, 1932 (US) issue. Details taken from Table of Contents. Issue not found - probably a reprint of the November 15, 1932 (US) issue. 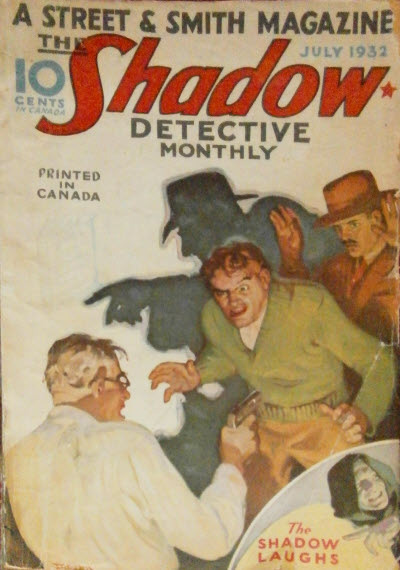 Issue not found - probably a reprint of the December 1, 1932 (US) issue. 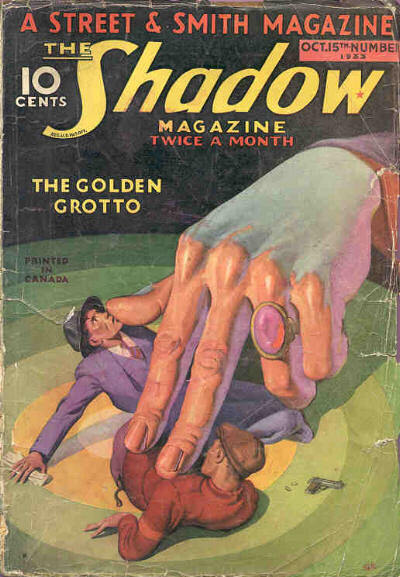 Reprint of the December 15, 1932 (US) issue. Details taken from Table of Contents. Issue not found - probably a reprint of the January 1, 1933 (US) issue. Issue not found - probably a reprint of the January 15, 1933 (US) issue. 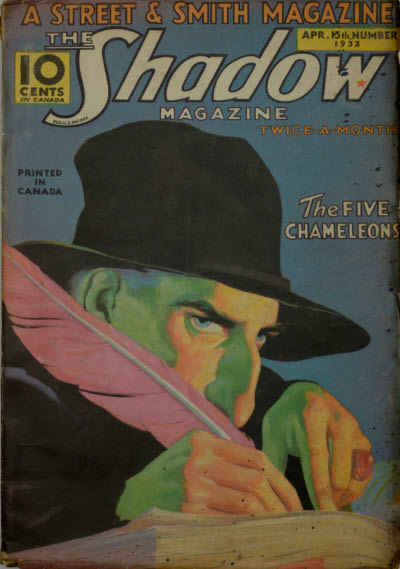 Issue not found - probably a reprint of the February 1, 1933 (US) issue. 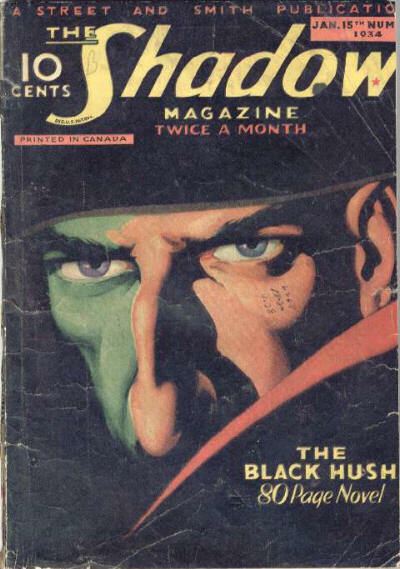 Reprint of the February 15, 1933 (US) issue. Details taken from eBay listing. 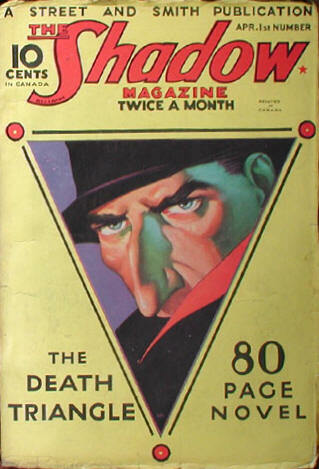 Reprint of the March 1, 1933 (US) issue. Details taken from Table of Contents. 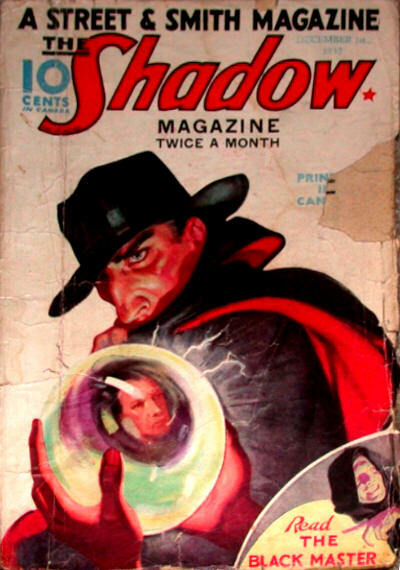 113 · Funny Business [Mark Curtis] · Norvell Page · ss The Shadow Magazine Mar 1 1933; given as by Norvel Page. Reprint of the March 15, 1933 (US) issue. Details taken from Table of Contents. 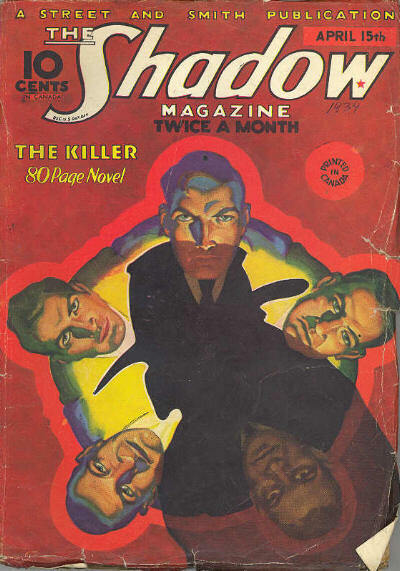 108 · The Killer · G. R. Schalk · ss The Shadow Magazine Mar 15 1933; given as by C.R. Schalk. 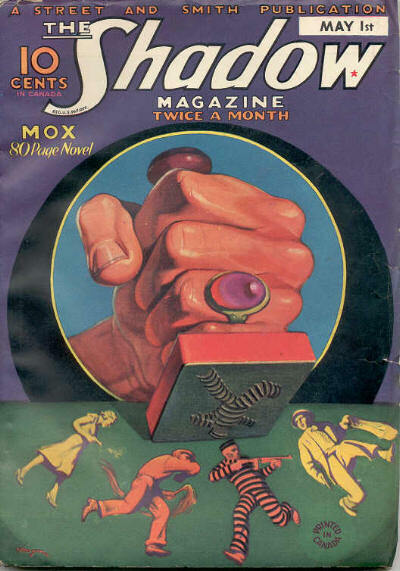 Issue not found - probably a reprint of the April 1, 1933 (US) issue. 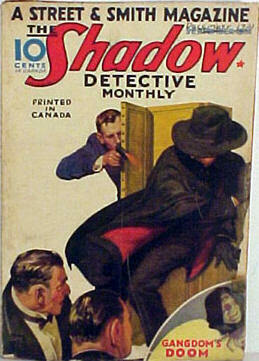 Issue not found - probably a reprint of the April 15, 1933 (US) issue. 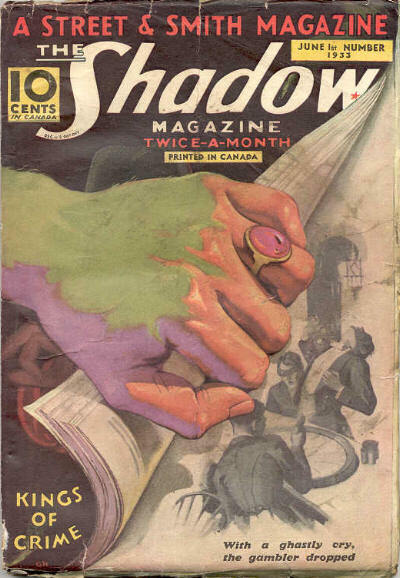 Reprint of the May 1, 1933 (US) issue. Details taken from eBay listing. Incomplete Data - Issue not found - probably a reprint of the May 15, 1933 (US) issue. Issue not found - probably a reprint of the June 1, 1933 (US) issue. Issue not found - probably a reprint of the June 15, 1933 (US) issue. Incomplete Data - Issue not found - probably a reprint of the July 1, 1933 (US) issue. Issue not found - probably a reprint of the July 15, 1933 (US) issue. Incomplete Data - Issue not found - probably a reprint of the August 1, 1933 (US) issue. Issue not found - probably a reprint of the August 15, 1933 (US) issue. Issue not found - probably a reprint of the September 1, 1933 (US) issue. Incomplete Data - Issue not found - probably a reprint of the September 15, 1933 (US) issue. 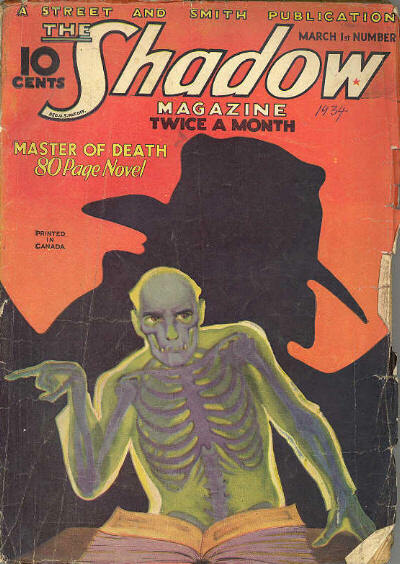 Master of Death [Kent Allard (The Shadow)] · Maxwell Grant (by Walter B. Gibson) · n. The Shadow Magazine Sep 15 1933; not the same as the story with a very similar title in the May 15, 1940 issue. 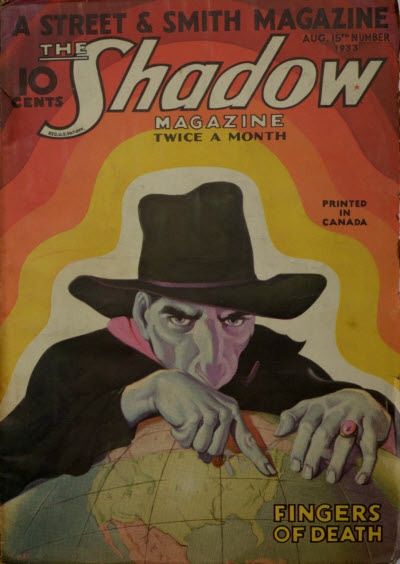 Issue not found - probably a reprint of the October 1, 1933 (US) issue. Incomplete Data - Issue not found - probably a reprint of the October 15, 1933 (US) issue. Incomplete Data - Issue not found - probably a reprint of the November 1, 1933 (US) issue. Incomplete Data - Issue not found - probably a reprint of the November 15, 1933 (US) issue. 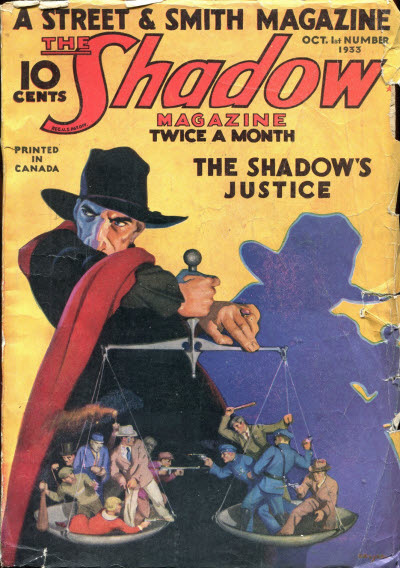 Reprint of the December 1, 1933 (US) issue. Details taken from eBay listing.